We've had the blood and gore already thanks to Gears of War 4. We had the cinematic massive online shooter thanks to Battlefield 1. 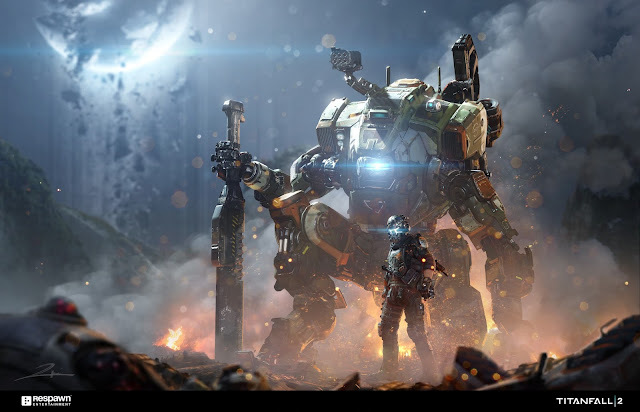 Now we up the pace a little and bring in some massive titans with the release of Titanfall 2 happening last week. Like I said in the BF1 review recently, we are really spoilt for choice at the moment, with a massive shooter seemingly releasing what feels like every week, and we have COD joining in the fun this week too. 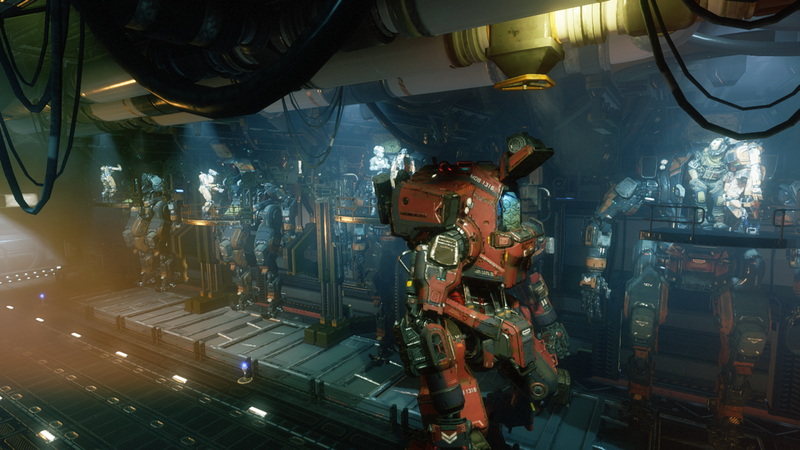 The original Titanfall offered a mixed bag when it released as an Xbox One exclusive back in 2014. With the game lacking any sort of campaign, as well as an online portion which while feeling fresh lacked that grasp that kept online players hooked and playing. Surely the team at Respawn would amend these faults with the sequel, with the game already shining bright after the beta, and a campaign now being a part of the game this time around. I think many expected the single player to be more of a tacked on thing, with Respawn just ticking the box of the game having one to please those who bitched about it the first time around (me being one of them). Now, I will admit I had mixed feelings in the early portion of this campaign, with it certainly being a game of two halves if I were to put a football style phrase.on it. The early playthrough saw me not really being that impressed with it in all honesty, with the first few levels having somewhat of a refresher feel to them rather than the spectacle that I had hoped from it. Not that it was terrible in any shape or form, but it just felt very much like a way of letting new players into the pilot and titan control system, with the returning player not really needing this once he got hold of the controller and started playing. The second portion had me coming out with the feeling I was hoping for mind you, with numerous emotions filling my body as the final credits rolled up the screen. While the story is there ticking along nicely, all be it nothing new when it comes to shooter stories, It does the job of playing things out while you enjoy the main two lead characters growing as a team and bonding, which in turn made me at times get the feels. I've not fallen in love with a bit of metal since the days of Short Circuit and Johnny 5, but BT-7274 comes out of the story more than just a lump of metal, and the relationship between your character (Jack) and himself will see your heart filling up with so many feels. But that's for you to experience and enjoy. Things like level layouts and just fresh new ideas play a massive role in making this portion of the game much more that just an add-on on top of what we already knew would be a decent enough multiplayer thanks to the recent beta. While early levels throw up Titanfall standard settings where wall running is key, you soon see that taken to levels you would have never expected from the game. 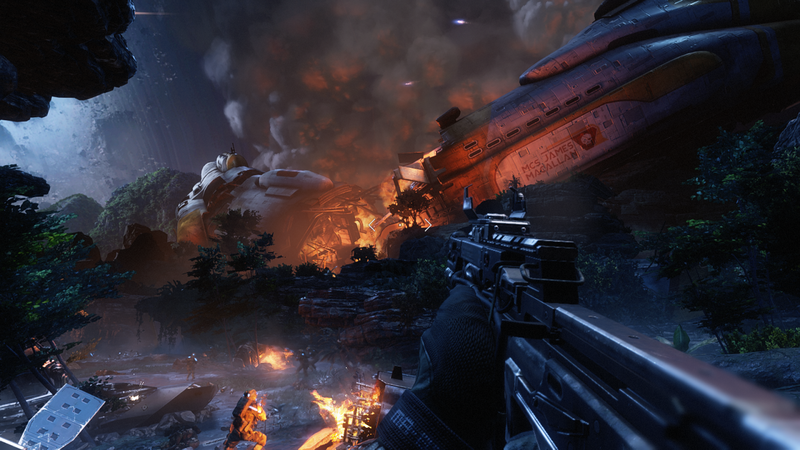 Looking gorgeous every step of the way, Titanfall 2 offers not only a bonding story between man and machine but also looks good the whole way through it. Because of all of this, I would urge you not to overlook this portion of the game, with it being a bloody pleasure to play through until completion. If I had to pick faults then dull boss battles would have to be brought up, with no real point to them other than to pump as many bullets/rockets into them as you can. It's will also be that it will be a one time only experience, with the only real replay value being if you don't collect all the collectables on your first playthrough. But ignore all of this, as the good outweighs all of this. 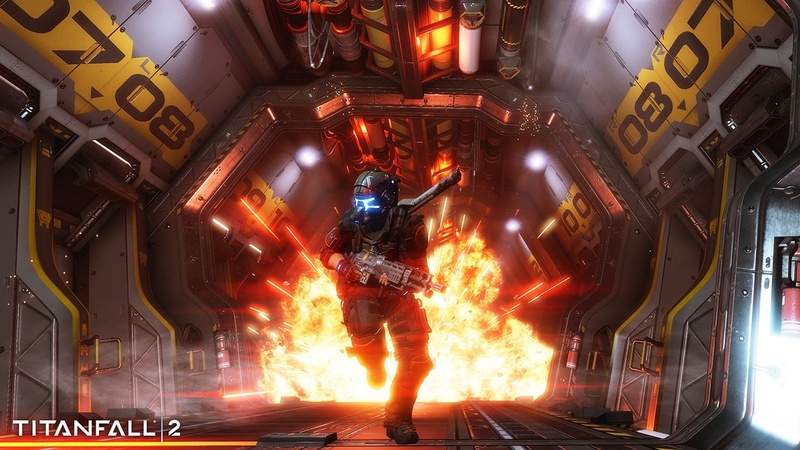 Multiplayer: Reviewing the online portion of a new shooter is always a hard thing to do. While one week it could be the best thing we've ever played, us humans are a fickle bunch, and we can soon find ourselves hating something we once loved. It's even tougher when you have a history of it, as we all saw how the multiplayer for the original Titanfall played out a few months after release. Does Titanfall 2 do anything that will stop that happening to this game? I honestly don't know. I do know as of right now though that it ticks all the right boxes that make it a fun online experience. In terms of modes you see such modes as Amped Hardpoint, Last Titan Standing and Attrition returning once again, with the likes of Bounty Hunt (kill enemies to earn cash which you can then bank in designated locations when they unlock), and Coliseum (arena style 1v1 deathmatch) bringing some new modes into the fold. I still feel like modes are lacking somewhat, but with me finding myself only going online for an hour or two right now to play the game, at the moment it isn't that much of an issue. In terms of how it plays, for me at least it pretty much plays how I remembered the original Titanfall playing, with no other online shooter offering the speed and movement of either game still to this day. 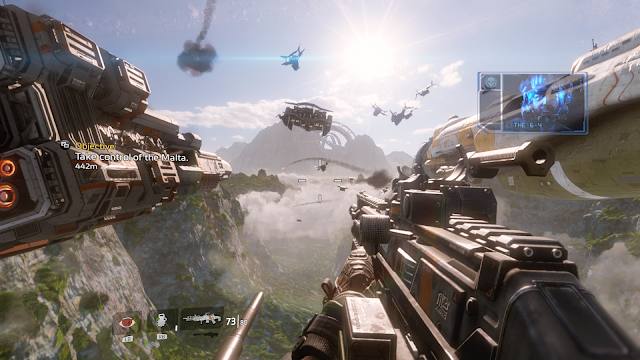 And how can you forget the unique aspect of a titan dropping into play all around you, as hearing the words "standby for titanfall" still feels as epic as it did in 2014, with a whole new console generation getting to enjoy it this time around on the PS4. Overall: Titanfall 2 for me is the Titanfall we wanted the first time around. single player being decent, and an online side that for now entertains me enough to want to keep playing it. Fingers crossed with the promised free content for the future, Titanfall 2 doesn't repeat what happened with the original, which sees it has a long living multiplayer that I still feel like going back to around January next year. Bought it, played it, sold it!